We are excited to announce usability updates in our proprietary creative platform, Aarki Studio, which aim to simplify the process of creating engaging and catchy creative ads. Updates to responsive layout have been implemented to improve design precision. Percentage layout values now have two-digit precision instead of whole percent values. For example, 17.66% is now supported vs. previous 18%. There’s more! Layers visibility toggle is now improved in Studio. When selecting several layers at once, it is possible to toggle visibility for all layers simultaneously by selecting toggle on any of the selected layers. 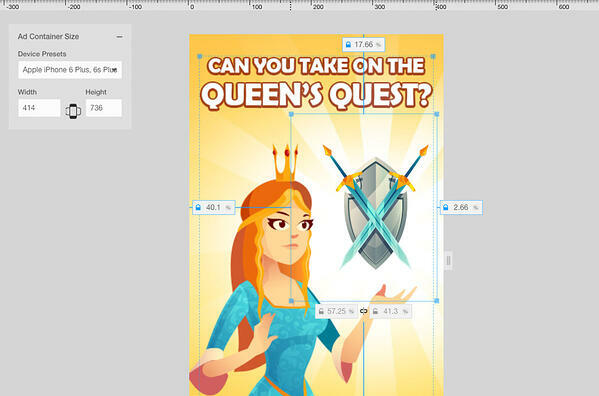 Easy ad creation is the core value for Aarki Studio. With continuous usability updates, we make sure that creating appealing and memorable ad creatives can be flawless and simple.